Respond. Educate. Advocate. Counsel. Heal. The REACH team is South Dakota’s first regional multidisciplinary team (MDT), designed to help victims and their families navigate the criminal justice system. The REACH team is headquartered in Watertown and serves 13 surrounding counties. The REACH project provides a team made up of law enforcement, medical providers, CPS workers, mental health providers, victim advocates and prosecutors to help a victim and their family. 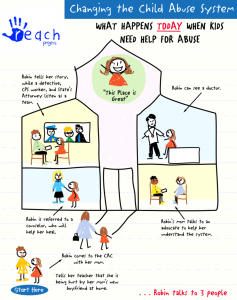 Once the child abuse is discovered, the victim comes to the child advocacy center where they will meet the REACH team and evidence is collected while the victim and their family receive information on the next steps and support services that are available. The team approach allows the child and family to get all information from ONE place and the team can create a plan of action together. 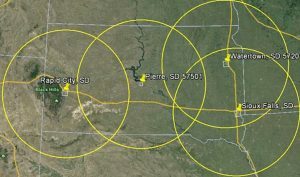 With the addition of the Watertown REACH Team, child victims in South Dakota will now have access to a CAC evaluation within a 2 hour/ 120 mile drive. 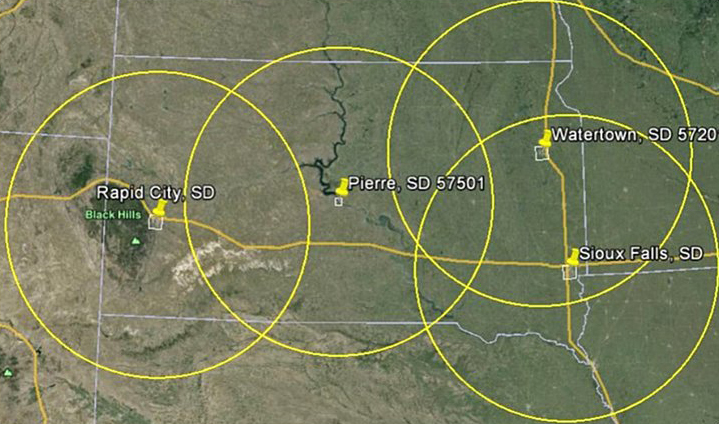 CACs are located in Rapid City, Pierre, Sioux Falls, and now Watertown. For more information visit http://cacs-sd.org/. 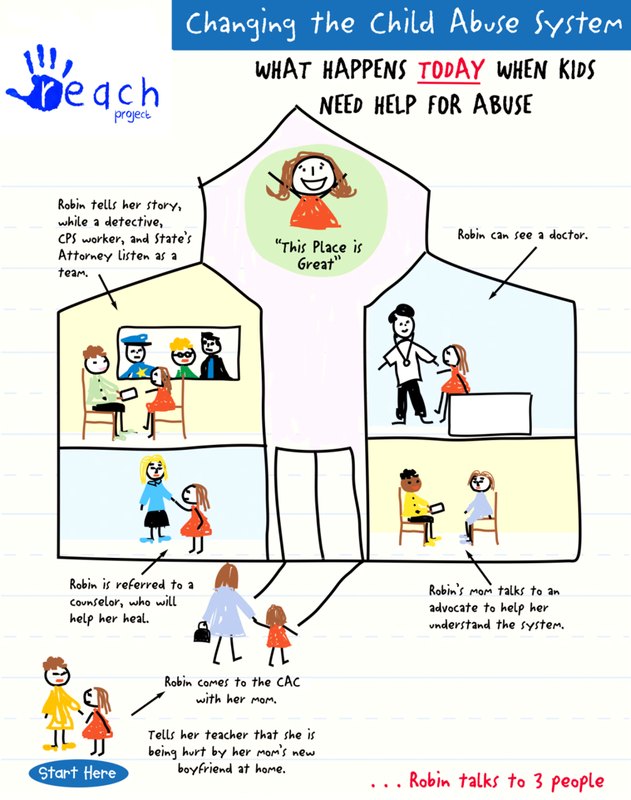 Effective information sharing places CPS workers in a better position to monitor child safety and parental support, provide assistance to non-offending parents, and provide recommendations regarding placement and visitation. History obtained during the coordinated forensic interview provides medical personnel important information in making medical decisions. In turn, medical providers are available for consultation on specialized medical evaluations and for interpretation of medical findings and reports. Mental health personnel provide the MDT with valuable information regarding the child’s emotional state, treatment needs, and ability to participate in the criminal justice process. A mental health professional helps ensure that assessment, treatment, and related services are routinely made available to children and families. Suspects may be more likely to cooperate when confronted with evidence generated by a coordinated MDT approach. Support and advocacy functions are attended to by other MDT functions, leaving law enforcement personnel more time to focus on other aspects of the investigation. Collaboration with CPS and other MDT members allows law enforcement to utilize MDT members’ training and expertise in working on child protection issues, communicating with children and understanding family dynamics. Victim advocates are available to provide needed crisis intervention, safety planning, referrals for additional services, ongoing support, information and case updates, and court advocacy in a timely fashion. Victim advocates allow the MDT to anticipate and respond to the specific needs of children and their families more effectively, lessen the stress of the court process, and increase access to resources needed by the child and family, including access to victims of crime funding.